Grenada (/ɡrɪˈneɪdə/ ( listen) grih-NAY-də) is a country in the West Indies in the Caribbean Sea at the southern end of the Grenadines island chain. Grenada consists of the island of Grenada itself plus six smaller islands which lie to the north of the main island. It is located northwest of Trinidad and Tobago, northeast of Venezuela and southwest of Saint Vincent and the Grenadines. Its size is 348.5 square kilometres (134.6 sq mi), and it had an estimated population of 107,317 in 2016. Its capital is St. George's. Grenada is also known as the "Island of Spice" due to its production of nutmeg and mace crops, of which it is one of the world's largest exporters. The national bird of Grenada is the critically endangered Grenada dove. Independence was granted on 7 February 1974, without breaking formal ties with the Commonwealth, under the leadership of Eric Gairy, who became the first Prime Minister of Grenada, with Queen Elizabeth as Head of State. In March 1979, the Marxist–Leninist New Jewel Movement overthrew Gairy's government in a coup d'état and established the People's Revolutionary Government (PRG), headed by Maurice Bishop as Prime Minister. On 19 October 1983, hard-line Deputy Prime Minister Bernard Coard and his wife Phyllis, backed by the Grenadian Army, led a coup against the government of Maurice Bishop and placed Bishop under house arrest. Bishop was later freed by popular demonstration and attempted to resume power, but he was captured and executed by soldiers, and replaced with a military council chaired by Hudson Austin. 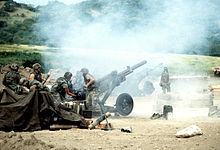 On 25 October 1983, forces from the United States and the Barbados-based Regional Security System (RSS) invaded Grenada in a U.S.-led operation code-named Operation Urgent Fury. The invasion was highly criticised by the governments of Britain, Trinidad and Tobago and Canada, along with the United Nations General Assembly. Elections were held in December 1984 and were won by the Grenada National Party under Herbert Blaize, who served as Prime Minister until his death in December 1989. On his third voyage to the region in 1498, Christopher Columbus sighted Grenada and named it "La Concepción" in honour of the Virgin Mary. It is said that he may have actually named it "Assumpción", but it is uncertain, as he is said to have sighted what are now Grenada and Tobago from a distance and named them both at the same time. However, history has accepted that it was Tobago he named "Assumpción" and Grenada he named "La Concepción". In the 1520s, the Spanish named the islands to the north of Mayo as Los Granadillos (Little Granadas), presumably after the mainland Spanish town. Shortly after this, Mayo disappeared from Spanish maps and an island called "Granada" took its place. Although it was deemed the property of the King of Spain, there are no records to suggest the Spanish ever landed or settled on the island. After French settlement and colonisation in 1652, the French named their colony "La Grenade". On 10 February 1763, the island of La Grenade was ceded to the British under the Treaty of Paris. 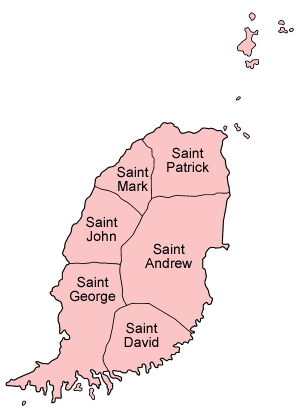 The British renamed it "Grenada", one of many place name anglicisations they carried out on the island during this time. In 1877 Grenada was made a Crown colony. Theophilus A. Marryshow founded the Representative Government Association (RGA) in 1917 to agitate for a new and participative constitutional dispensation for the Grenadian people. Partly as a result of Marryshow's lobbying, the Wood Commission of 1921–22 concluded that Grenada was ready for constitutional reform in the form of a modified Crown colony government. This modification granted Grenadians the right to elect five of the 15 members of the Legislative Council, on a restricted property franchise enabling the wealthiest 4% of adult Grenadians to vote. Marryshow was named a Commander of the Order of the British Empire (CBE) in 1943. In 1950 Eric Gairy founded the Grenada United Labour Party, initially as a trades union, which led the 1951 general strike for better working conditions. This sparked great unrest—so many buildings were set ablaze that the disturbances became known as the "red sky" days—and the British authorities had to call in military reinforcements to help regain control of the situation. On October 10, 1951, Grenada held its first general elections on the basis of universal adult suffrage, with Gairy's party winning six of the eight seats contested. 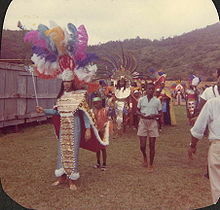 From 1958 to 1962 Grenada was part of the Federation of the West Indies. On October 19, 1983, Bernard Coard and his wife Phyllis, backed by the Grenadian Army, led a coup against the government of Maurice Bishop and placed Bishop under house arrest. These actions led to street demonstrations in various parts of the island. Bishop had enough support from the population that he was eventually freed after a demonstration in the capital. When Bishop attempted to resume power, he was captured and executed by soldiers along with seven others, including government cabinet ministers. [clarification needed] The Coard regime then put the island under martial law. After the execution of Bishop, the People's Revolutionary Army (PRA) formed a Military-Marxist government with General Hudson Austin as chairman. The army declared a four-day total curfew, during which anyone leaving their home without approval would be shot on sight. The overthrow of a moderate government by one which was strongly pro-communist worried the administration of US President Ronald Reagan. Particularly worrying was the presence of Cuban construction workers and military personnel who were building a 10,000-foot (3,000 m) airstrip on Grenada. On October 25, 1983, combined forces from the United States and from the Regional Security System (RSS) based in Barbados invaded Grenada in an operation codenamed Operation Urgent Fury. The US stated this was done at the behest of Prime Minister Eugenia Charles of Dominica. While the Governor-General of Grenada, Sir Paul Scoon, later stated that he had also requested the invasion, it was highly criticised by the governments of Britain, Trinidad and Tobago, and Canada. The United Nations General Assembly condemned it as "a flagrant violation of international law" by a vote of 108 in favour to 9, with 27 abstentions. The United Nations Security Council considered a similar resolution, which was supported by 11 nations and opposed by only one — the United States, which vetoed the motion. In 2000–02, much of the controversy of the late 1970s and early 1980s was once again brought into the public consciousness with the opening of the truth and reconciliation commission. The commission was chaired by a Roman Catholic priest, Father Mark Haynes, and was tasked with uncovering injustices arising from the PRA, Bishop's regime, and before. It held a number of hearings around the country. Brother Robert Fanovich, head of Presentation Brothers' College (PBC) in St. George's tasked some of his senior students with conducting a research project into the era and specifically into the fact that Maurice Bishop's body was never discovered. Paterson also uncovered that there was still a lot of resentment in Grenadian society resulting from the era and a feeling that there were many injustices still unaddressed. On September 7, 2004, after being hurricane-free for 49 years, the island was directly hit by Hurricane Ivan. Ivan struck as a Category 3 hurricane and damaged or destroyed 90% of the island's homes. On July 14, 2005, Hurricane Emily, a Category 1 hurricane at the time, struck the northern part of the island with 80-knot (150 km/h; 92 mph) winds, causing an estimated USD $110 million (EC$297 million) worth of damage. By December 2005, 96% of all hotel rooms were open for business and to have been upgraded in facilities and strengthened to an improved building code. The agricultural industry and in particular the nutmeg industry suffered serious losses, but that event has begun changes in crop management and it is hoped that as new nutmeg trees gradually mature, the industry will return to its pre-Ivan position as a major supplier in the Western world. In April 2007, Grenada jointly hosted (along with several other Caribbean nations) the 2007 Cricket World Cup. The Island's Prime Minister was the CARICOM representative on cricket and was instrumental in having the World Cup games brought to the region. After Hurricane Ivan, the government of the People's Republic of China (PRC) paid for the new $40 million national stadium and provided the aid of over 300 labourers to build and repair it. During the opening ceremony, the anthem of the Republic of China (ROC, Taiwan) was accidentally played instead of the PRC's anthem, leading to the firing of top officials. The last Summit of the Americas, the seventh, was held in Panama City, Panama in 2015 with the eight summit being held in Lima, Peru in 2018 according to the website of the Summits of Americas. Since Grenada is a member of the OAS, in light of changes in the global economy, discoveries in the Oil and Gas sector in Guyana, possible exploration for Oil and Gas which is in the discussion stage in Grenada, representations on behalf of Grenada are likely to be made at that Summit. On July 6, 1994 at Sherbourne Conference Centre, St. Michael, Barbados, George Brizan signed the Double Taxation Relief (CARICOM) Treaty on behalf of the Government of Grenada. Seven other countries signed the Double Taxation Relief (CARICOM) Treaty on that day. These countries were: Antigua & Barbuda, Belize, Jamaica, St. Kitts & Nevis, St. Lucia, St. Vincent & The Grenadines, Trinidad and Tobago, with another country Guyana signing the agreement on August 18, 1994. This treaty covered concepts such as taxes, residence, tax jurisdictions, capital gains, business profits, interest, dividends, royalties and other areas. Grenada's economic picture is soured by a heavy external debt problem. With government debt service payments running at about 25% of total revenues in 2017, Grenada was listed 9th worst in a study of 126 developing countries. Tourist facilities are being expanded; tourism is the leading foreign exchange earner. Major short-term concerns are the rising fiscal deficit and the deterioration in the external account balance. Grenada shares a common central bank and a common currency (the East Caribbean dollar) with seven other members of the Organisation of Eastern Caribbean States (OECS). Many of these events stimulate the economy as they attract boats and persons who may need repairs to their boats or who may need to learn new routes to shelter their boats during hurricanes or Inter Tropical Convergence Zones (ITCZs) which are weather systems which affect this part of the world for almost half of the year every year. The Grenada Sailing Festival Work Boat Regatta starts in January and lasts for a few days. From the photos on the website Grenada Sailing Festival, it appears that the style of the race is similar is similar to that event in which CARICOM national, Andrew Lewis raced at the 2016 Summer Olympics. St. George's University has rapidly expanded in recent years, and has a major economic impact, particularly in southern portions of the island. While some of its approximately 5,000 students are from Grenada, including many undergraduates, and many medical students serve rotations off of the island, the majority of students are from other countries and bring substantial revenue to the island while studying there. St. George's University is among the island's largest employers, and students patronise many off-campus landlords and other businesses. Flights at the Maurice Bishop International Airport connect with other Caribbean islands, the United States, Canada, and Europe. There is a daily fast ferry service between St. George and Hillsborough. A majority of Grenadine citizens (82%) are descendants of the African slaves who were captured and forced against their will to the island by the English and French; few of the indigenous Carib and Arawak population survived the French purge at Sauteurs. A small percentage of descendants of indentured workers from India were brought to Grenada mainly from the North Indian states of Bihar and Uttar Pradesh between May 1, 1857 – January 10, 1885. Today, Grenadians of Indian descent comprise the second largest ethnic group. There is also a small community of French and English descendants. The rest of the population is of mixed descent (13%). An important aspect of the Grenadian culture is the tradition of story telling, with folk tales bearing both African and French influences. The character, Anancy, a spider who is a trickster, originated in West Africa and is prevalent on other islands as well. French influence can be seen in La Diablesse, a well-dressed she-devil, and Ligaroo (from "loup-garou"), a werewolf. Grenada has competed in every Summer Olympics since the 1984 Summer Olympics in Los Angeles. Kirani James won the first Olympic gold medal for Grenada in the men's 400 meters in 2012 in london and silver in 2016. As with other islands from the Caribbean, cricket is the national and most popular sport and is an intrinsic part of Grenadian culture. The Grenada national cricket team forms a part of the Windward Islands cricket team in regional domestic cricket, however it plays as a separate entity in minor regional matches, as well as having previously played Twenty20 cricket in the Stanford 20/20. ^ "Government of Grenada Website". Retrieved 2007-11-01. ^ "About Grenada, Carriacou & Petite Martinique | GOV.gd". www.gov.gd. Retrieved 2017-07-31. ^ a b Crask, Paul (2009-01-01). Grenada, Carriacou and Petite Martinique. Bradt Travel Guides. p. 5. ISBN 9781841622743. ^ Viechweg, Raymond D. (2017-04-05). Grenada Uncovered: An Uncommon View of the Island's Geocultural Beauty. Trafford Publishing. p. 11. ISBN 9781426926051. ^ Crask, Paul (2009-01-01). Grenada, Carriacou and Petite Martinique. Bradt Travel Guides. p. 6. ISBN 9781841622743. ^ Crask, Paul (2009-01-01). 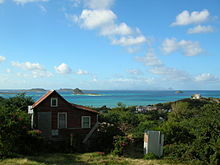 Grenada, Carriacou and Petite Martinique. Bradt Travel Guides. p. 7. ISBN 9781841622743. 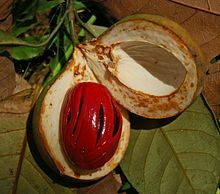 ^ "Grenada Nutmeg – GCNA – Organic Nutmeg Producers, Nutmeg Oil – Nutmeg trees – Nutmeg farming in Grenada". Travelgrenada.com. Archived from the original on 2012-03-23. Retrieved 2012-03-19. ^ "From Old Representative System to Crown Colony". Bigdrumnation.org. 2008-07-01. Retrieved 2012-03-19. ^ a b "1951 and Coming of General Elections". BigDrumNation. Retrieved 2012-03-19. ^ Anthony Payne, Paul Sutton and Tony Thorndike (1984). "Grenada: Revolution and Invasion". Croom Helm. Retrieved 2009-09-10. ^ Julie Wolf (1999–2000). "The Invasion of Grenada". PBS: The American Experience (Reagan). Retrieved 2009-09-10. ^ "United Nations General Assembly resolution 38/7". United Nations. November 2, 1983. Archived from the original on March 16, 2008. ^ "Assembly calls for cessation of "armed intervention" in Grenada". UN Chronicle. 1984. Archived from the original on 2007-06-27. ^ Richard Bernstein (October 29, 1983). "U.S. VETOES U.N. RESOLUTION 'DEPLORING' GRENADA INVASION". The New York Times. Retrieved July 8, 2012. ^ "Grenada: Bandleader Loses Job in Chinese Anthem Gaffe". New York Times. Associated Press. February 8, 2007. Retrieved 2008-08-05. ^ "BBCCaribbean.com | Grenada goofs: anthem mix up". BBC. 2007-02-05. Retrieved 2010-06-28. ^ Scott Conroy (2007-02-03). "Taiwan Anthem Played For China Officials". CBS News. Retrieved 2010-06-28. ^ "Member States". OAS. Retrieved 2017-05-18. ^ "SLA :: Department of International Law (DIL) :: Inter-American Treaties". OAS. Retrieved 2017-05-18. ^ "Member State :: Grenada". OAS. Retrieved 2017-05-18. ^ "Foreign Account Tax Compliance Act (FATCA)". Treasury.gov. Retrieved 2017-05-18. ^ "Welcome to the OECS". Oecs.org. Retrieved 2010-06-28. ^ "The 10 Best Beaches in the World". The Daily Telegraph. London. ^ Cruisemanic. "Top 10 Things to Do in Grenada". Cruise Panorama. ^ a b "Central America and Caribbean :: GRENADA". CIA The World Factbook. ^ "Oil down – National Dish of Grenada". Gov.gd. 2010-03-05. Retrieved 2012-03-19. ^ "Other Matches played by Grenada". CricketArchive. Retrieved 9 August 2014. ^ "Twenty20 Matches played by Grenada". CricketArchive. Retrieved 9 August 2014. "Grenada". The World Factbook. Central Intelligence Agency. This page was last edited on 16 April 2019, at 02:07 (UTC).